In this heartwarming tale of family connections, teenager Shannon is devastated when her beloved father dies suddenly. She thinks she’s an orphan until her father’s best friend (Michael Madsen) and her doctor (Daryl Hannah) tell her that the mother she thought had died in childbirth is alive. 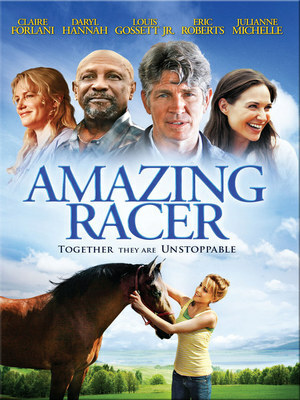 As Shannon and her mother (Claire Forlani) struggle with their new relationship, Shannon bonds with a young horse and befriends a trainer (Louis Gossett Jr.) who starts working magic with the pair, preparing them for a big race. But when an egotistical horse owner (Eric Roberts) buys the horse and abuses it, she is faced with the biggest battle of her life. Can Shannon heal her crushed spirit and rescue the horse in time?